This May 7, 2017, file photo shows Maine Medical Center vector-borne ecologist Chuck Lubelczyk collect ticks at a site in Cape Elizabeth. 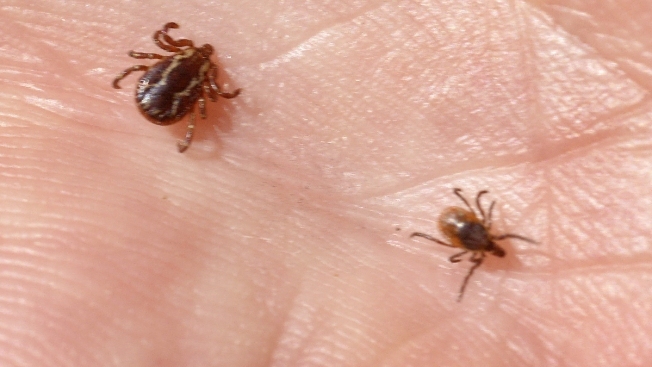 At left is a dog tick; at right, a deer tick. 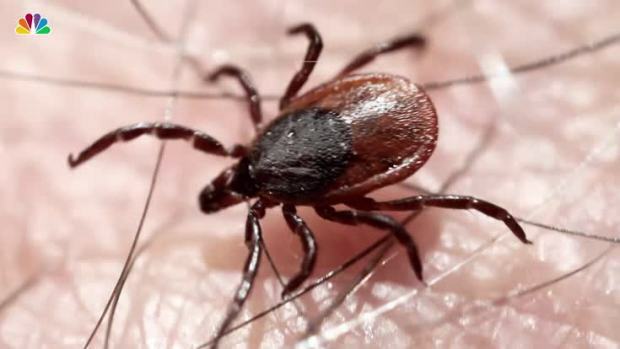 Lyme disease accounted for nearly three-quarters of the illnesses. That's about 43,000 cases.